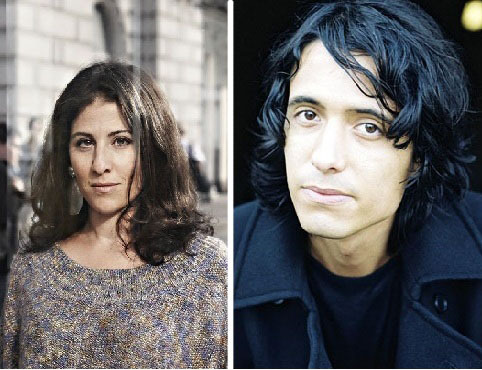 Celebrated Swedish journalist and author Dilsa Demirbag-Sten and award-winning Swedish novelist and playwright Jonas Hassen Khemiri will keynote the 32nd annual MAYDAY! Peace Conference at Gustavus Adolphus College on Wednesday, May 2. In honor of the College’s Sesquicentennial, this year’s conference is titled “Multicultural Sweden,” and will explore multiculturalism and social justice in our increasingly global society. Presenters will address expressions, challenges, and rewards of cultural diversity, with a focus on contemporary Sweden. Demirbag-Sten will give the morning keynote address at 10 a.m. in Christ Chapel. Born into a Kurdish nomadic family in a small village in eastern Turkey, Demirbag-Sten came to Sweden with her family in 1976 at age six and grew up in the cities of Karlstad and Uppsala. She holds a bachelor’s degree in political science and history from Stockholm University. As a frequent commentator on issues of integration, amnesty, and religious oppression, she writes for a number of Swedish newspapers and has hosted her own television show on Swedish TV8. Khemiri will deliver the afternoon keynote address at 1:30 p.m. in Alumni Hall. Khemiri is hailed as one of the most important Swedish writers of his generation. He is the author of two novels and one collection of plays and short stories. His first novel, One Eye Red (2003), received the Boras Tidning award for best literary debut. His second book, Montecore (2007), won several literary awards including the Swedish Radio Award for best novel of the year. Khemiri’s first play, Invasion!, was recognized with a Village Voice Obie Award in 2011 for best script. Born in Stockholm in 1978 to a Swedish mother and a Tunisian father, Khemiri grew up in a multi-lingual home where English, French, Swedish, and Arabic were mixed in to a unique family language called “Khemirian.” From an early age he witnessed how his family switched identities when changing languages and how words had the capacity to change people. Demirbag-Sten’s keynote address will be streamed live online for those unable to attend the conference in person. To watch her speak, go online to gustavus.edu/go/livestreaming. Gustavus professors Helena Karlsson, Kjerstin Moody, and Glenn Kranking of the Scandinavian Studies Department will present a lively conversation on the particularities of contemporary Swedish multiculturalism. Professor of English Eric Eliason will serve as moderator of the discussion, which will begin at 12:15 p.m. in the Heritage Banquet Room. The annual MAYDAY! Peace Conference Oratory Contest for high school students will address: “How should your community improve upon what it means to be a multicultural society?” Three rounds of speeches are spread throughout the day with the final round or orators vying for a $750 first prize in Alumni Hall at 3 p.m. The annual MAYDAY! Peace Conference was founded at Gustavus in 1981 by Florence and the late Raymond Sponberg of North Mankato, Minn., and is designed to educate the campus community about issues related to peace, human rights, and social justice. The conference occurs every year on the last Wednesday in April or the first Wednesday in May. Previous conference themes have focused on land rights, violence in community, hunger, the banning of landmines, food security, global water issues, and political policies relating to peace issues. All events related to the MAYDAY! Peace Conference are free and open to the public. For more information about the conference, contact the Gustavus Office of Marketing and Communication at 507-933-7520 or marketing@gustavus.edu.